Fine wire polished 9K red gold balloon links give this watch chain strength, durability and grace. 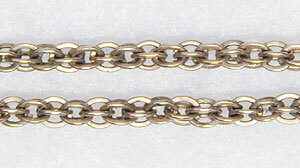 The antique Victorian chain measures 43” in length. Circa: 1870.